If you currently advertise your products or services through traditional media or online, then you’re already on your way toward getting your message out to the world. But, you can do more. 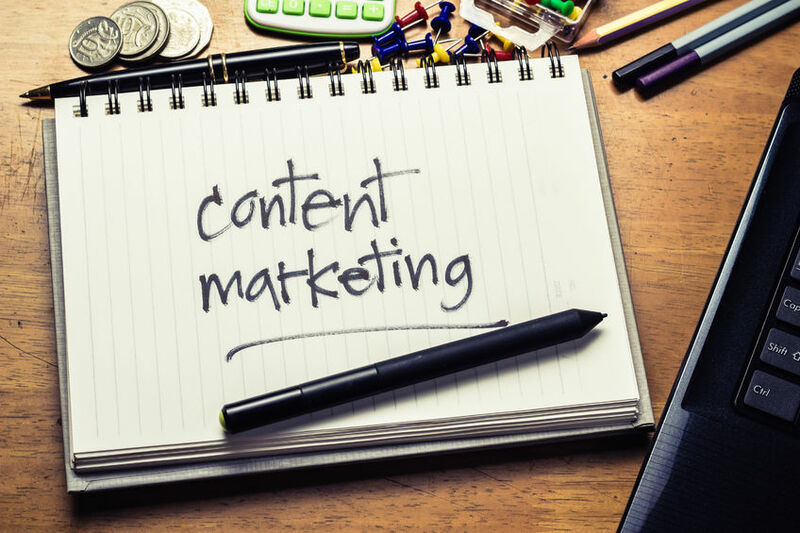 Content Marketing (CM) is the next logical step. This is an informational technique that can take your marketing plan to new levels by providing helpful information to your existing customer base while attracting new customers. This is the first of two STARTicles to introduce you CM. We’ll start by familiarizing you with the overall CM concept — and get you thinking about how you might incorporate it within your marketing plan. So, Exactly What is CM? Your current marketing probably tells customers what they need to know about your products and services, but other types of information might be helpful, as well. What if you identified unrecognized needs, how other customers take advantage of your goods or services or changes in technology that might justify an upgrade? These are all examples of CM, which savvy businesses use to get important information to customers. By keeping customers informed, you show them that you care while compelling them to come to you with questions — and new orders. It can even attract off-season business. For example, if your tax accounting business is laying off employees once tax day has passed, your quarterly newsletter might keep your phones ringing because you got customers thinking about year-round ways to save taxes. Do you want to sell bathing suits to Minnesotans mid-winter? Perhaps an article about high fashion during the Polar Plunge might do the trick. Granted, if you sell common products like candy, then customers already have a good idea of when they need a chocolate fix. But, maybe you have amazing extra uses for candy bars. (Extra bonus: here’s a collection of 11 candy bar cookie recipes from a CM-savvy bulk candy store.) And, of course, sales of technical products might rise when customers are well-educated in the technology. Your customers probably don’t know everything about your products or services. The following are ways that CM can attract new or repeat business. Traditional advertising messages are fine for capturing customers seeking specific products or services and ant to solve a particular concern. CM takes it a step further by generating new interest. Infomercials are brilliant in this regard. I never knew that I need a lid that attaches to the top of my microwave or tape that would let me mend a leaky boat, but I may buy either one of these products now. Even if all consumers aren’t as gullible as I am, however, the right informative message can generate their interest, as well. Regardless of whether you send regular newsletters or even email a link to an article, you might generate new sales once customers learn about coming regulatory changes that your newest product addresses. Or, they may be unaware of the safety risks associated with imported hover boards when your brand has built-in safeguards. A little creative thought can help you find the right angle, no matter what you sell. Some CM strategies are not so much about incentivizing sales as they are about retaining customers over the long term. Show that you take a personal interest in their needs by informing them about ways to use your products — or new trends within your industry that will help them. This is valuable information, and they may thank you for it with an order. If a picture is worth a thousand words, then a video is worth a thousand pictures. Go beyond the manual by producing how-to videos. Show them the proper step-by-step methods for cleaning and maintaining the appliances that you sell. Or, let them watch what can happen to their cars when they don’t come in for regular oil changes. Not ready for video production just yet? If you sell products from outside sources, some online research might reveal existing videos that you can link to, making online training convenient for customers. Before you open your business’ doors: When you announce that your bicycle shop is opening in Springfield, don’t stop there. Start a bicycling blog that praises Springfield’s bike-friendly laws and maps out the abundance of local bike paths and the scenic vistas that they lead to. During the prime sales season: Provide general bicycle information, such as the benefits of one type of bike over another based on personal needs. During the off season: Entice winter bicycle use by relaying the adventures of riders who pop on bike snow tires and keep riding. Or, provide safety advice (and devices that you sell) to reduce the dangers of riding when ice can appear on streets. In other words, use CM to keep your product in buyers’ minds. They may not run out to buy right now, but a trip to your business will be on their minds as soon as it’s appropriate. Do you share links with people when you think that the information might pique their interest? I know that I do this all the time, and it often compels my recipients to buy something that they never bought before. When you employ a good CM strategy, your existing customers might help spread the word. A recent survey showed that about 80 percent of Americans look for referrals before making buying decisions. A link shared from a trusted source represents a type of referral for many of us. This is just one more way that CM can work to increase sales while retaining your current customer base.